Por favor, señale la caja si ha leido y entiende los Términos y Condiciones. Debe aceptarlos para que podamos confirmar su reserva. Confirmo que he leido y comprendo los Terminos y Condiciones de la reserva de Grupo que se explican en Inglés. 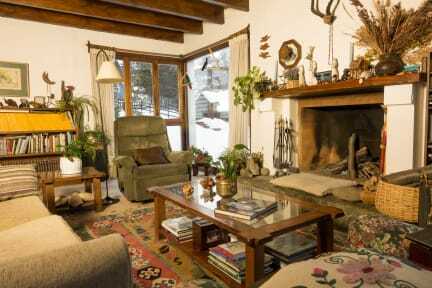 This is a family house & cabins located 500m from downtown Ushuaia in a quiet neighbourhood. 'One of the joys of travel is meeting people who bring out the best in area and the Galeazzi-Basily does just that' Lonely Planet, 2002. 'The best option by far is this cosy and stylish family home, with incredibly welcoming owners Francis and Alejandro, who speak excellent English, in a pleasant residential area just 5 blocks from the centre. Delicious breakfast included.....Highly recommended.' Footprints Argentina, 2004. 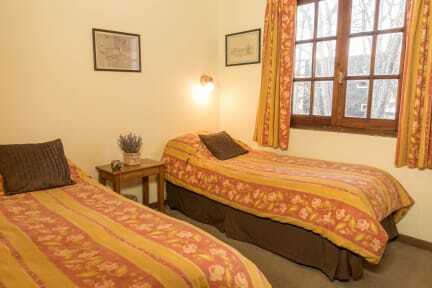 We have two bedrooms with twin beds that share a bathroom. Your hosts in Ushuaia are Frances Basily and Alejandro Galeazzi. We will be very pleased to look after you in our home and to offer you a warm welcome. We all speak English and Spanish, and understand Italian and Portuguese, Frances speaks French perfectly. We feel that the best way to get to know Tierra del Fuego is through the hospitality of its people. Staying in a home in Tierra del Fuego allows you to meet and live with a local family, far from the impersonal atmosphere of hotels. Personally, we have travelled widely and we like to exchange experiences of our trips, as well as recommending to our visitors the best walks to be had both in Ushuaia and its surrounding areas. Our house is conveniently located a mere 500 metres from downtown Ushuaia in a quiet residential neighbourhood, which offers easy access to all the activities that you choose to do, together with the comfort and the stillness of the surroundings. Acogedor y bonito , las cabañas están muy bien preparadas con cocina , calefacción y en la mañana se sirve un rico desayuno .Los dueños siempre atentos a nuestras dudas o necesidades .Muy contentos con la experiencia :). Gabi y Flor son unos excelentes anfitriones. Recomendados 200%. El lugar increíble y la ubicación muy buena, muy cerca al centro. Fue muy buena mi estancia, excelente el trato la cordialidad, me sentí como en casa.